Did you come here to get the best looking Mahjong Solitair for Windows 10? Then install it from the Windows Store. 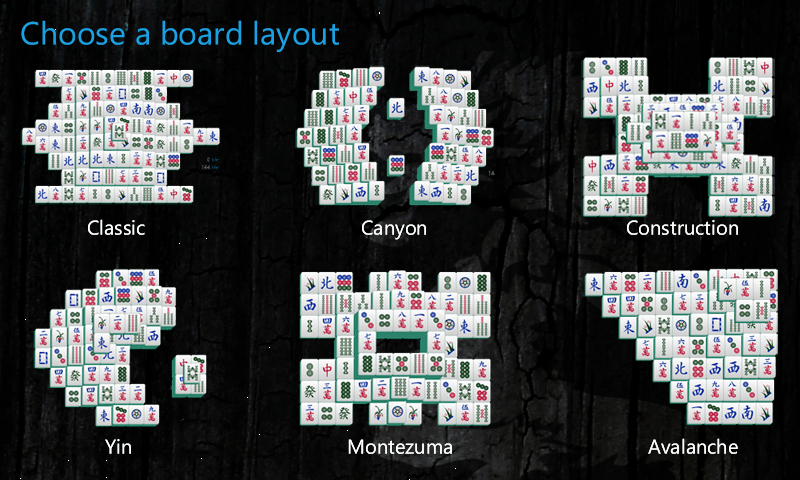 If you want to know more how Mahjong was created for Windows Phone 7,8 and 10 and Windows 8 and 10, read on! In 2010 I bought my first Windows Phone, a Samsung Omnia that ran Windows Phone 7. I was excited to buy it because it allowed me to leverage my Silverlight knowledge to create apps for it. And I had an idea for an app! I wanted to create my favorite game: Mahjong. I used to play Kyodai Mahjong on my PC and I just loved that game. It certainly inspired me to set a high standard working on my own game. The first thing I created was the game board which back then was a XAML Canvas. A background worker was used to draw 144 PNG images on the canvas. The second thing I did was create the music for the game. I needed sound for starting, winning, loosing, etc. I used my Korg M3 to create the sounds. The screenshot must be from one of the first versions I released because I remember getting it in the store just before the new year (2011) started. In 2012 I recreated the Windows Phone 7 (Silverlight) version for Windows 8. Although I created the very first Mahjong on Windows Phone, app names were not unique back then. 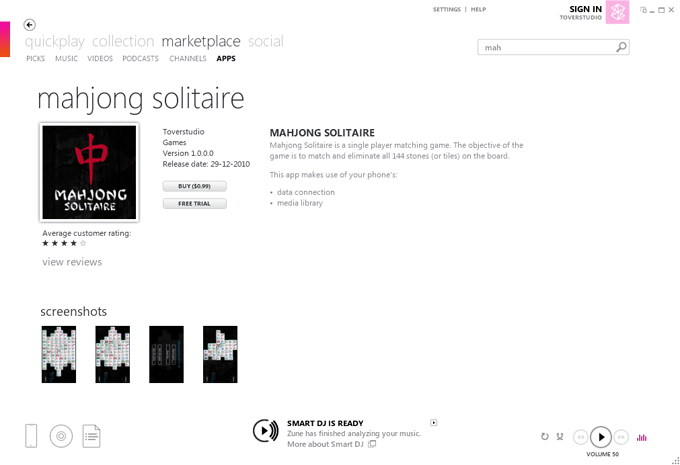 With the introduction of the Windows 8 Store, App names became unique and unfortunately I was too late to register Mahjong Solitaire. So I released it as “Mahjong Solitaire HD”. In november 2013 I worked at 6Wunderkinder where I created Wunderlist for Windows 8. One of the designers showed me how to create custom fonts with a site called http://fontastic.me/ and I wanted this for Mahjong too. Since more devices supported high resolution screens, scaling PNG’s became a problem. So I reworked my Icons and created a True Type Font from it. Until now I had used Expression Design and Pixelmator to create PNG’s and now I used Sketch to create Vector graphics to upload to Fontastic. Just before releasing it to the store, I wanted to add two new boards to it. I had recently moved from Eindhoven to Berlin and had the idea to make Mahjong Solitaire more personal by adding two icons from those cities to it. By now, the Windows Phone Version for Mahjong was not in the store anymore and I did not create one for Windows Phone 8. And they were all forks from Windows NT that must be over 20 years old by now. Windows Phone introduced Metro, the windows design language with its strong focus on Typography. In windows 8, the design language came to the desktop and Microsoft introduced universal Apps. It allowed us developers to share much of the code between Phone and Desktop. Windows 8.1 added to this concept and although we had to re-write much of our code, we were really going into the direction of having 1 app to rule them all. Then Windows 10 came along and brought us the Universal Windows Platform. For the first time, you could run one project on Windows 10, Windows Phone 10 and XBOX One. I created yet another new version of Mahjong Solitaire HD and released it under a new account. Now it’s called Mahjong Solitair. Some have asked we why I spelled it incorrectly and the reason is that I had to find a unique name and ‘Mahjong Solitair’ is actually the dutch spelling for the game. This is where the story of Mahjong Solitair ends for now. For me this game has been such a pleasure to work on and I will continue improving it and make it available for all platforms that support UWP. If –by now– you want to test it yourself, go to the store and see for yourself how much fun Mahjong Solitair can be!